But I had the perfect excuse to make cookies today! (Does anyone ever really need an excuse though?) But I really did have a perfectly good reason to make these. You see, my most favourite magazine of all time, Chatelaine, hosts a Cooking Club Challenge every other Friday for their readers, and this month was a cookie challenge. And I wanted to participate. There were 5 cookie recipes that they had us choose from, ranging from gluten free cookies to peanut butter cookies to the good old fashioned chocolate chip cookie. I decided to make the good old fashioned chocolate chip cookies. And they are to die for. 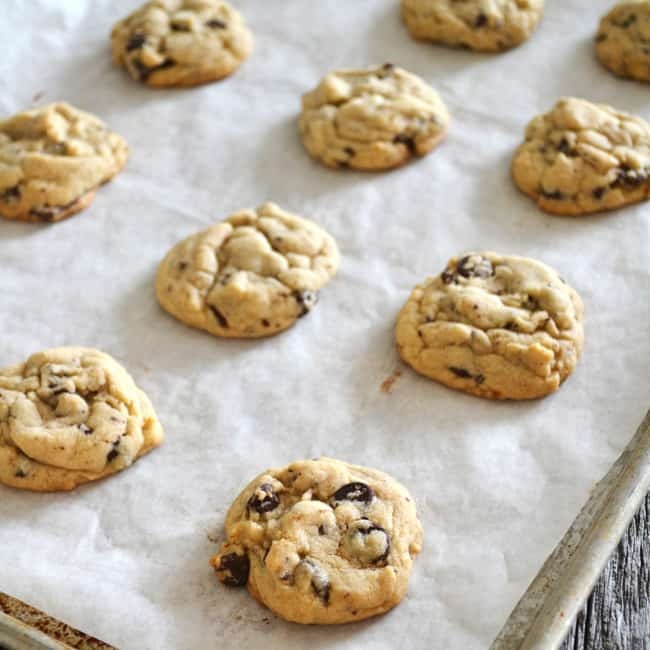 Just when you think you’ve got chocolate chip cookies down pat, along comes another recipe that beats the one you’ve been using for years. These are that good. 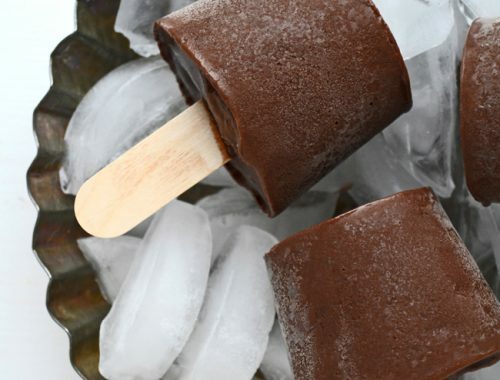 I think it’s the chopped up chocolate that does it for me…you are guaranteed a little bit of chocolate deliciousness in every bite! They’re soft, chewy and SO chocolatey. And they are not fussy to make at all. 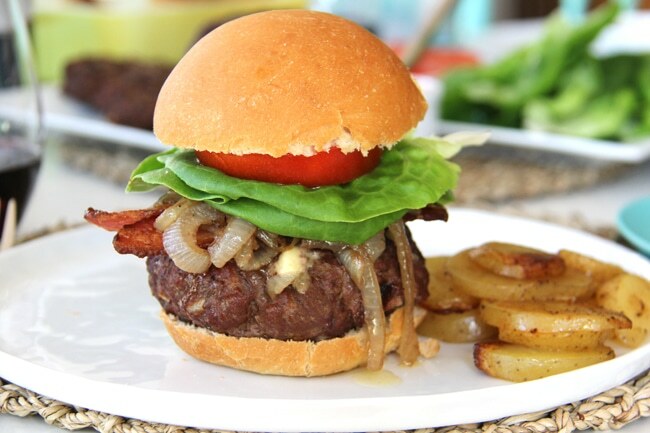 Just easy, and delicious! This. This is a go-to recipe! Line a baking sheet with parchment paper, or slightly oil it. In a bowl whisk together the flour, baking soda and salt. In a mixing bowl, beat the butter and sugar until creamy, about 1 min. Then beat in the egg and vanilla. Gradually add the flour mixture into butter mixture, and stir until just combined. 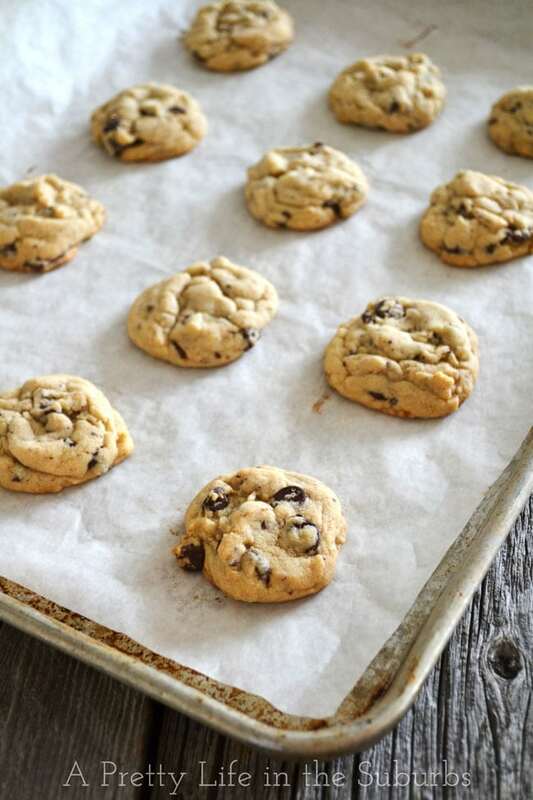 Use about 1 tbsp of cookie dough for each cookie, and place your cookie sheet, placing them about 2 inches apart. Don’t press them down as they will spread as they bake. Bake until the cookies are golden around the edges, about 8 to 10 min. I didn’t have any dark chocolate chips so I just used regular chocolate chips and chopped up 2 semi-sweet chocolate baking squares. Your kids must have loved that for an after-school snack. I need to get to baking today as well…my mom is turning 60! Sooooo good! 🙂 And happy birthday to your mom!! And great idea to make these as bars…my kids would love that! I made these 2 days in a row! Great recipe. I made two minor adjustments to mine. I used a half stick of butter and a half cup of vegetable shortening to equal 1 cup if butter and I used unsalted butter. They turned out great! 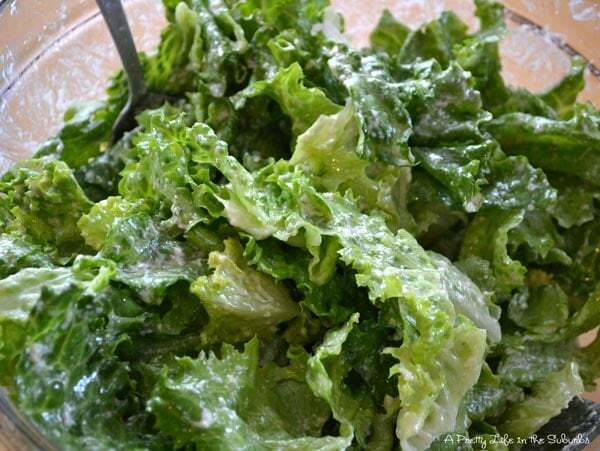 Thanks for sharing this wonderful recipe!! Thanks for the recipe! I just made these and they turned out beautifully!! Delicious cookies but mine were much flatter than in the picture. Next time I may try two eggs. I have made this recipe multiple times. 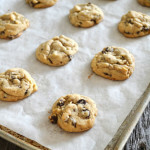 It is now my favourite chocolate chip cookie recipe! Thanks so much for sharing. You are so welcome! I’m really happy you enjoy this recipe!